James Galt has 175 years of experience in designing toys to stimulate each stage of a child’s development. 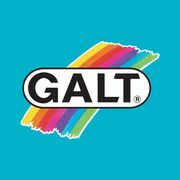 All Galt toys are manufactured to the highest standards in quality and safety. This ensures hours of play, full of fun and interest. From the patented Playnest for babies, to science and craft that will engage all ages, Galt offers a great range of imaginative toys!